Ever wondered what effect Chillies really have on our bodies? We are all familiar with the burning mouth, red face and sweating that occurs after eating hot chilli peppers. But why do some people cope with eating hot food much better than others? What really is the best way of calming the chilli burn (and how effective is a cold beer after a hot curry)? This fun and interactive talk will delve into the science of chillies, including a tasting of some of the world's rarest and spiciest varieties from World of Zing's range! 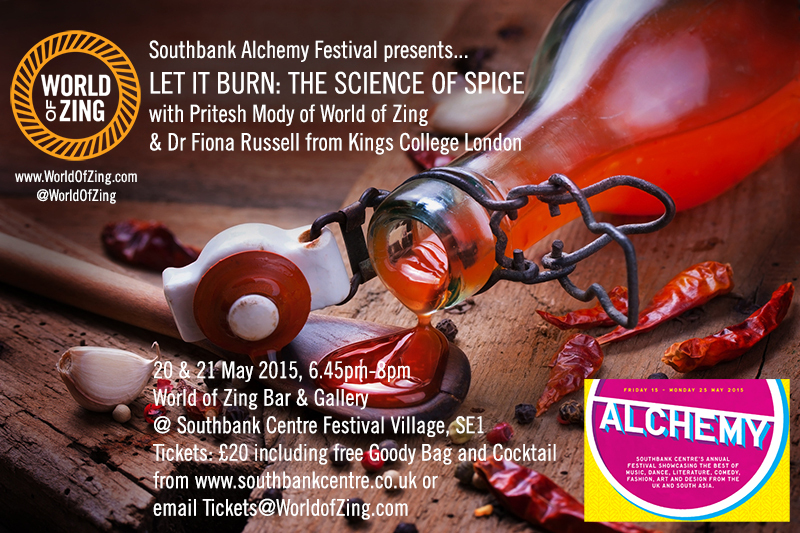 Learn more about the science of chillies by talking to Dr Fiona Russell on twitter: https://twitter.com/dr_fi Stay up to date with the latest events and activities at the World of Zing Bar & Gallery by following @WorldofZing on Twitter, Facebook and Instagram.